Villanova’s Master of Science in Analytics is one of the most renowned business degrees in the country today. As one of the two online programs offered by the Villanova School of Business that was ranked as the #4 online graduate business program in the nation by U.S News & World Report, Villanova’s online MSA can propel you toward a successful and profitable career in a range of industries. 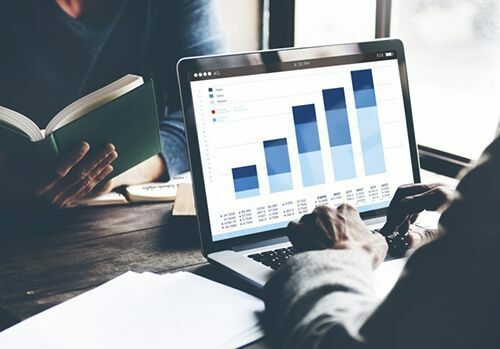 Analytics skills are becoming vital to a wider range of organizations each year, and there is currently a significant talent gap that is preventing those entities from finding the right candidates. Well-rounded, informed and trained professionals will have plenty of opportunities to work in the fields that interest them, and this training begins with a master’s degree program. Before deciding if Villanova’s MSA is the right program for you, it will be helpful to have a general idea of the current state of analytics in the private and public sectors. This is one of the fastest-growing areas of the global economy because of its value in the context of exponentially rising data volumes. The best place to begin in the analytics discussion is big data, which is arguably the most exciting and widely-discussed component of all. Gartner estimated that, globally, organizations would spend about $17 billion on business intelligence (BI) and analytics technology in 2016, representing a 5.2 percent increase from the year prior. Not surprisingly, the bulk of the investment is going toward platforms and software. Many organizations are embracing the types of processes and personnel that are necessary to drive a big-data and advanced-analytics strategy, with the understanding that the software is only one facet within a much more complex mechanism. “To get the full benefit of modern BI and analytics platforms, leaders must rethink most aspects of their current IT-centric, centralized analytics deployments, including technology, roles and responsibilities, organizational models, governance processes, and leadership,” Bertram added. Big data and analytics are also top of mind for many executives. According to the annual 2016 Big Decisions Survey from PwC, 48 percent of the more than 2,000 decision-makers polled consider their companies highly data driven. Executives also want decision-making to happen at a quicker pace, and a number find predictive and prescriptive analytics powerful in their industries. Overall, the PwC survey emphasized the need for a holistic approach to big data. Collection is the foundation, but companies also need to assess how collection occurs, which questions need answers and which staff members can own and manage the analytics process. For these reasons and many more, individuals interested in starting a rewarding career based upon analytics will need to choose a school that goes above and beyond simple technological talent development. The program must transcend hard facts and enable forward thinking, leadership and advanced data-interpretation skills. An application process that looks at a much wider variety of factors than just grade point average, work experience and similar traditional application items. Ideal applicants are also collaborative and creative. If you are interested in becoming one of the leading minds in the analytics arena, consider applying to a top-ranked program such as Villanova’s online Master of Science and Analytics.